A lovely bright, open plan living area with rear 2 x aspect double glazed windows that overlook the stunning Limpley Stoke Valley. TV/FM & telephone points, the kitchenette features an island unit with cupboards and built-in freezer below, further eye and base level units with complementary counter tops incorporating a single drainer and stainless steel sink with mixer tap, 4 ring ceramic hob with cooker hood above and under counter integrated fridge. 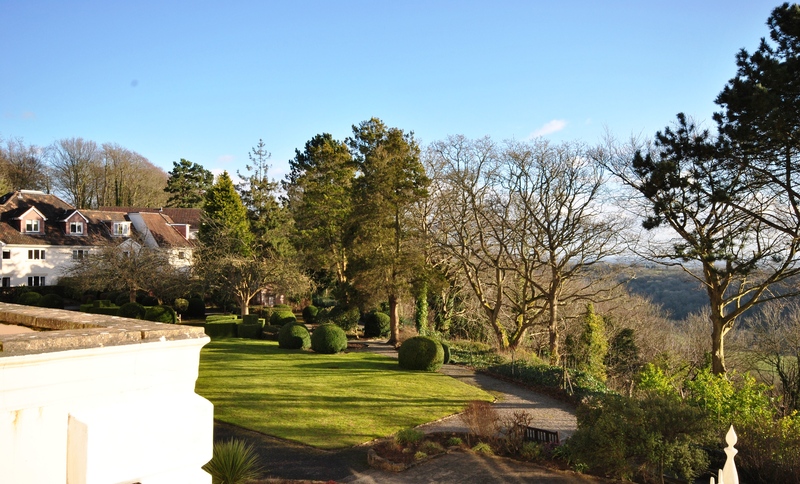 2 x rear aspect windows having superb views over the well maintained grounds and the Limpley Stoke valley. Built-in wardrobes, power and telephone points, coving to ceiling make this a relaxing space. Enclosed shower cubicle, low level WC, pedestal wash hand basin and built-in storage cupboard. Wall mounted mirror and shaver point, heated towel rail and wall mounted extractor fan. The property is heated by storage heaters throughout. Extensive communal gardens with an array of mature trees, shrubs and plants and seated areas for the residents. £5,449.46 PA for single or double occupancy. Read about the latest news, views and events from Avonpark to get some insight into village living Retirement Villages’ style.